i don't believe there is a single fork in the road: on the one side there are teachers that "really" teach dzogchen re give direction introduction freely, and on the other side are teachers or questionable spiritual realization who teach a tradition mode of theory and praxis that involves ngondro, kyerim, dzogrim and the like. this is not factually concordant with reality and i think it not only obfuscates real dialog among more mature practitioners, but i think it's probably confusing as hell to the newbies. over the years i have met or heard of lamas that don't even teach ngondro, but rather practices like tara and chenrezig. maybe phowa. some pure land practice to be liberated at death. others teach ngondro and that's it. some teach ngondro as a preliminary to kyerim and dzogrim-- others as a preliminary to dzogchen. some teach dzogchen in the context of ngondro as the main supporting practice. some give really formal pointing out. others are always giving pointing out in everything they do, sometimes teaching dzogchen on the sly. some introduce dzogchen philosophically through madhyamaka and then texts by mipham and longchenpa. some introduce it entirely experientially. i had one lama give very long and graphic guided meditation as a pointing-out and then sit with us session after session. some lamas stick to a particular lineage and teach A-Z. others have pet texts they like to teach. i have one teacher who largely teaches the theksum nedek. some lamas pick teachings from various cycles as they choose. some lamas are real crazy yogis, giving introduction in really unusual ways. one of my lamas started smashing things during an empowerment. some lamas give very elaborate pointing out during the fourth empowerment during an initiation. some lamas flat out won't teach dzogchen, but if a great lama comes-- you're going or else! so i don't see the fork. there are as many approaches as there are lamas. i think it's really problematic to present dzogchen in the context of this false dichotomy. i could elaborate on the problems arising from this, but that's a different discussion. again, this isn't about dzogchen vs. ngondro, but rather a dichotomy projected onto the theory and praxis of dzogchen. Your posts are really crystal clear! I think you are raising a lot of valid issues in a good way. Will the real Dzogchen please stand up! Maybe I am always projecting everything, including "Dzogchen,"
--- and that explains --- why Dzogchen has nothing to say. Yes, there are several forks in the road. One just happens to be more pronounced than others. You can't pretend there's not a significant difference in the way ChNN or KDL and perhaps a few others teaches/taught Dzogchen. That would be misleading the audience. Other than that, I don't have any contentions with what you said. I met many different lamas too, with quite different styles of teaching. For instance, with some a lot of emphasis what put on shamatha at start (something I actually agree if one wants to practice tantra). So you could expect a few years of that, mindfulness and little else. Others would stay a long time on Shantideva, for instance and then ngondro. Others would send you right into ngondro and you would only get to actually practice Dzogchen many years later, this if you were lucky. Others gave DI at the start and all was from "a Dzogchen perspective", but actually I never got to practice Dzogchen since we had no recognition of the primordial state or were working on it (it was more or less expected that such recognition would only occur after kyerim being perfected). I met so many different teachers that I agree it is a bit like you said. Many have different styles and chose different texts. Some are quite orthodox while others are rather eccentric. I'm sure there are more variations I never met or even heard about but's there's nothing particularly ground breaking in terms of difference there. ChNN, the only case I met (since I never had the good fortune of meeting KDL) who teaches Dzogchen without ngöndro as a prerequesite right from the start or who doesn't follow the traditional schematic ngöndro->yidam->trekcho->thogal, afaik. He even gives specific Dzogchen preliminaries, but doesn't forbid you of doing whatever practice you want. If you want to do ngöndro, yidam and so on, fine. But you are not said to do so. As I say, it's different, this without even entering Longsal, talking about his system of Yantra Yoga, Vajra Dance and so on and so forth. There's a fork there and not acknowledging it is closing our eyes for the sake of I don't know what. That fork is not a problem. Each person will choose what he sees fit for his own likes. I don't see why we shouldn't acknowledge this simple fact or why should it bother anyone. i know nothing about KDL, but i have received teachings from CNNR by webcast and i've read many of his books and transcripts. to me, CNNR's teachings are no different than my other teachers. some different particulars but the same essential meaning. i really have no idea what you're talking about. i'm not saying that to be difficult. this is why i suggested some time ago, in another thread, articulating and expressing the DC of CNNR as a unique emergent dharma culture. I trimmed your post since it came right bellow mine. Hope you don't mind. Just removed my previous post from it. Of course the essential is the same. I mean, wasn't that more or less expected? The methods of practice may change and that's where you find divergences, some already acknowledged by both of us. This is what is being discussed here, not if there's a Dzogchen for those who follow the usual approach and a different one for others. At the end of kyerim, when you enter trekcho, it's the same. But that wasn't ever questioned. What is questioned is if you need to follow that protocol or not. Because you see, for many, the amount of time such protocol will take is a benefit they don't have. If someone is expecting to perfect kyerim to recognize the primordial state afterwards, perhaps they don't have enough time. Imagine waiting to complete a 400k accumulations ngöndro plus the following yidam practice that may take even more time to actually get to practice Dzogchen proper? Because till that point, even if the view is Dzogchen, what you are practicing is Tantra. Of course if you are young, have money and time, a family that understands when you go to retreat and so on, then all you need is a qualified Dzogchen teacher and the method you'll use to approach Dzogchen practice matters little. But nowadays that's a really big if, isn't it? I agree that it is difficult for most people to spend time completing such practices *as a pre-requisite* to receiving more profound teaching, given our busy lives in modern society. However, if one has been introduced to the natural state, any practice at all can be helpful and profound. We should not neglect the relative condition. Last edited by Karma Dorje on Wed Jun 20, 2012 3:03 am, edited 1 time in total. This is clear and exactly what I have been trying to communicate, but you've done a much better job. If one has been introduced to the natural state and recognized it, one can use a whole lot of practices. Ngöndro just doesn't seem to be the most adequate for everyone, but why not? It's feasible. I never saw ChNN saying someone shouldn't perform ngöndro if so one wishes. But it's not what he usually suggests people do. In my own case, who received DI several times before and while I was practicing ngöndro and yidam, I can't say these were very helpful for that purpose, but as I said so many times, that was my experience. Anyway, the purpose of the accumulations is purification of negative karma and the accumulation of merits. This is always helpful. But not Dzogchen practice. It's Tantric practice, although, as any other practice, it can be integrated. We can go to the bathroom, take a crap while we remain in instant presence . That doesn't mean taking a crap is practicing Dzogchen. Integrating any activity, however, is. There are specific methods to work in that. Tantric practice, if overall helpful, has no such methods. This needs to be said, so that people aren't mislead to think that while they are practicing Tantra they are practicing Dzogchen. They aren't. Whatever the approach they are using. If you follow the more usual approach, you practice Dzogchen after perfecting kyerim. Till there it's Tantra, even if the view is Dzogchen. Dzogchen has quite specific practices. There's nothing wrong with Tantra though. 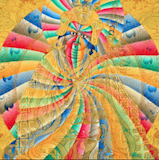 Most Dzogchen practitioners do Tantric practices frequently to remove obstacles and so on. This was never a point of dispute. Nobody denied the efficacy of ngöndro or that it can be used, as any other activity, to enhance integration. What is being discussed is if ngöndro is necessary. Not if it has value. Of course it has value. Anything that purifies negative karma and accumulates merits has great value. You defend that retreat conditions are really helpful for ngöndro. I agree. I also believe that tantric practice without extended retreat conditions is a mere fantasy, but I know there are people who don't agree with this. I think they are mostly kidding themselves, but it's up to them. Not everyone has possibilities to practice Tantra correctly. It's quite hard to master and needs real immersion. For those, if there's another way to enter and develop Dzogchen practice, great. Is there such a way? We claim yes. There's a way. This seems to be the only point of contention: is the classic ngondro->yidam->trekcho->thogal the only way? This is what is under discussion, not the value of tantric practice. I disagree that there is a hard and fast line between tantra and dzogchen. As the quoted teaching from Dudjom Rinpoche explains, one can approach even ngondro from the Dzogchen point of view. Why make this dichotomous? The distinction is largely academic. At least for me personally, I use whatever works without wondering if it is the most macho conceptless approach or whether it has the most exalted label applied to it. Because there is such dichotomy. When you do Guru Yoga, in ngöndro for instance, you are practicing Dzogchen, not Tantra. But most of ngöndro is not Guru Yoga. Where you spend most of your time, is not in Guru Yoga. Perhaps ideally such could be the case. In practice, I never saw anyone doing it like that, especially when one hasn't recognized the primordial state, which is the most common. All of ngondro is guru yoga if you are doing it properly. How can any practice done properly *not* be guru yoga? It's irrelevant whether people keep that in mind most of the time or not, that's simply what real practice is. As you know, I completely agree with you that there is no prerequisite for Dzogchen practice other than direct introduction. I just think that you can bring the dzogchen view to any activity, including ngondro. If you do ngöndro while you rest in your natural state, you are certainly practicing Dzogchen! Do you? No? Then you are purifying karma and accumulating merits! Which is a good thing, mind you! But if you were able to integrate a whole session of ngöndro with 500 of any of the accumulations that require movement, I very much doubt you would have any need for it and you would certainly find other suitable practices. Of course we can try that all practices become Guru Yoga. But first it's better that we at least get Guru Yoga right for a few moments, even if seconds. We move from there then. But you see, if you are remaining in contemplation, you really have no better way of purifying karma and accumulating merits, so why ngöndro? Just integrate whatever you do. Wash dishes and get something done! It's not that easy, but eventually one strives to integrate all activities. I know you agree with the fact that ngöndro shouldn't be considered a prerequesite. Not all think like you, though. That's the whole reason for this discussion. Dechen Norbu wrote: If you do ngöndro while you rest in your natural state, you are certainly practicing Dzogchen! Do you? No? Then you are purifying karma and accumulating merits! "Resting in the natural state" doesn't imply torpor or even being thought-free. Do you really not recollect the View while practicing ngondro? It is explicit in the words of the Longchen Nyingthig ngondro to recollect the view. Many lamas, including dzogchenpas like Patrul Rinpoche completed ngondro many, many times. Obviously it was not for themselves alone that they did this. It is an activity that has a profoundly purifying effect on the karmic vision of their students and the environment in general. If there was a more profound or suitable practice, don't you think that Patrul Rinpoche would have had access to it? What's the best way to gain stability in guru yoga? Constantly recollect the guru. This is what ngondro is all about, at least the way I was taught. Who do you take refuge in? Who are you offering the mandala too? Who appears in the form of Vajrasattva to purify you? If not the guru, who else? Of course. If there's torpor, there's no resting in the natural state. Thoughts you can have all you want. They are not a problem as long as they don't distract you. About the rest, sure, nice theories. Patrul Rinpoche also told people should be vegetarians. I guess that is also the most profound practice regarding diet... if we are to follow that line of reasoning. I don't know why Patrul Rinpoche recommended this or that. Neither do you. He's been dead for a long time now. Surely he had his reasons. This doesn't mean that what he did then according to the circumstances of his life, his students and what have you, must be the best for everyone today. Concerning how you practice ngöndro. Very well said and indeed that's how it should be done. Still not Dzogchen practice, still not the best method if you ask me. Others may feel that for them it is the best, I don't know. For those I can only say: bon voyage! your dichotomy between tantra and dzogchen is entirely artificial. in the tradition they often make a distinction between persons and paths. one can be on a very high path and have a low view, just as one can be on a low path and have a very high view. it's the actual view of the practitioner that determines the level of his or her practice, not its external form. as my root teacher says, if i eat spinach and do it while being mindful of being inseparable of the deity-- it is a complete yidam practice. if i do it while maintaining mindful awareness of the true nature-- it is a dzogchen practice. on the conventional level it's still eating spinach. as karma dorje-la says, the ngondro can be a dzogchen practice, as can one's yidam practice. it's all a matter of one's view. similarly if one has not recognized the true nature, one can engage in any number of high practices and it's not dzogchen practice. it's all a matter of one's view. what keeps bringing me back to this discussion is why this dichotomy is being asserted and maintained (to me whether dzogchen has some fixed set antecedent practices is a moot issue). personally i think it has to do with the dharma culture of the DC. it's CNNR's skillful means to differentiate dzogchen from any other teaching-- religious, philosophical or cultural-- without exception. i personally think this is 90% of this "debate". Whatever you guys say! If you think the dichotomy is artificual, I don't care. If you think ngöndro is the way to go, I don't care. If you think ngöndro can be excellent to recognize the natural state, I don't care. If you think it is the best method for getting rid of doubt, guess what? I don't care either. It's your opinion. I won't debate it any further. Whether you agree or not, it's of no consequence to me. In fact, caring is what I have been doing in excess. And nobody is paying me, mind you! As someone who actually completed ngöndro, what I'm seeing here seems a lot of fantasy about it, about Guru Yoga, integration and what have you. It's my opinion. Feel free to disregard it. After all I am nobody of importance. When I write, I mean the best. Well, the best now is not keeping involved with this discussion. It's not for me that I'm doing it, so I'll be a little selfish now. Right now, what I need is a good night sleep. I wish you all a wonderful evening! PS- I won't go without saying this though xy as my conscience doesn't allow it... what a bunch of baloney! It's not just "a matter of view". It's a matter of actually being able to rest in the natural state while doing it, and this is much more difficult than you think. If you can rest in the natural state while doing kyerim, dzogrim, why the hell are you doing them? It's stupid. So, off to bed. Bye bye! Dechen Norbu wrote: You know what?